We try to reply to e-mail and telephone messages the same day that we receive them but certainly within a 24-hour time-frame. We are located in Honolulu, Hawaii which is -10GMT and Colorado Springs, Colorado. Please keep in mind that we are a small company. In exchange for your patience, we can keep our prices low and your tech support questions will be handled by a real systems engineer or programmer rather than a script reader. We have tried hard to make sure most common questions are answered on our Web site or somewhere in our Documentation, Tech Notes, and FAQs. Our most common technical support incidents are related to missing prerequisites, problems related to IIS application pools, or problems related to the service/proxy account. However you are always welcome to contact support if you cannot resolve an issue. We find that 95% of all issues are quickly resolved via one or two e-mails. We try to respond to all issues on the same day that they are submitted to use via e-mail but sometimes next-day response is necessary due to time-zone differences and our own schedules. Please keep in mind that we are a small company. Did the software ever work? If so, what has changed? Have you verified that the prerequisites on the product’s Requirements page have been met? Have you applied the most recent Windows/Microsoft critical and recommended updates to your IIS server? What other web applications are running on the same IIS server? From the IIS server console, open a web browser to http://localhost/directoryupdate (for example). Are you seeing any errors? Ithicos Solutions LLC is a registered Microsoft Partner based in Honolulu, Hawaii but operating out of Colorado Springs, Colorado. The company was founded in 2007 as a company dedicated to the development, sales, and support of the tools that were originally developed as part of a single consulting contract. Though the company is based in Honolulu, Hawaii, we have customers in all corners of the globe. Our original company's (ITCS Hawaii) business model has always been to empower customers to do the job themselves through training, over-the-shoulder consulting, and group collaboration. Ithicos Solutions continues that tradition by enabling our customers (an organization’s IT department) to empower their own customers (the end users) to be more efficient. If you are wondering where the name Ithicos comes from, it was a name that we made up (it was partially derived from “ITCS Hawaii”.) The first time we Googled the word, we got no hits. Jim McBee – Jim is Ithicos Solutions's Managing Member. Chances are you will be in touch with him either when ordering, activating your software, or if you have an Active Directory issue. Jim's background is Exchange Server and Active Directory consulting and has been an Exchange Server MVP since 2001. 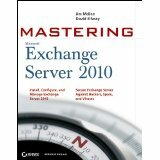 He is best known for his writing and work in the Microsoft Exchange Server community including speaking at events world-wide and publishing the Exchange 24Seven and Mastering Exchange Server series of books. He originally founded ITCS Hawaii in 1993 to provide training services and consulting in Honolulu. In 2007, he helped found Ithicos Solutions LLC. He handles not only provides day-to-day business administration support but often front-line technical support for Ithicos Solutions. 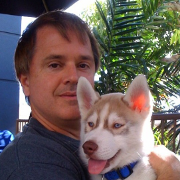 In his spare time, he skis, travels, hikes, and enjoys time with his Siberian Huskies. 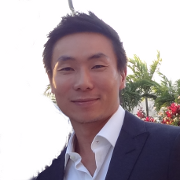 Matt Suriya – Matt holds a Masters Degree in Computer Science from the University of Hawaii where he specialized in user interface design and medical informatics as well as a Bachelor's Degree in Economics from Kasetsart University. He is the lead architect for Ithicos Solutions overseeing development, quality assurance, and software release management. Matt's interests include technology, running, snowboarding, fitness, Renaissance art, and travel. He is originally from Bangkok, Thailand but has traveled the world extensively. In 2007, he co-founded Ithicos Solutions with Jim McBee. Necessity is the mother of invention. Our first application (Directory Update) started out as a consulting project that Jim McBee and ITCS Hawaii was doing for a large customer. The customer has a global web/LDAP directory used by approximately 120,000 people. The global directory was built by synchronizing from approximately one dozen separate Active Directory forests using Microsoft Identity Lifecycle Management (ILM) server. The problem is that the telephone number, address, job title, and office information in these separate Active Directory forests was not accurate. The customer did not want to install the client version of GALMOD on all the desktops nor was the web-based version of GALMOD flexible enough for their needs. Other third party solutions were too expensive and cumbersome. Having each user submit a Help Desk ticket once or twice a year would overwhelm the help desk. A custom Web application was designed and developed for this organization's needs. We typically see some of the same questions very frequently. We have strived to answer your questions before you have to ask. Also see our Tech Notes section for more detailed technical explanations for some common questions. Ithicos Solutions is a small Exchange and Active Directory consulting company. We were founded by Jim McBee, an Exchange consultant, former Exchange MVP, and author. We are purely a technical services company; no sales people, no marketing, and no professional web site designer (as you can see.) See the About page for more information. Ithicos Solutions is a company that we have founded as a partnership between the designers and developers of our software. We are a small company and we are not pushy about sales. We don't even make you register for an evaluation or talk to a sales person for 15 minutes before you look at the product. Do you answer your telephone? Can Directory Update assign a manager the ability to change other user's attributes? Directory Update is completely a "self-service" application. It was designed to be a web-based replacement for Microsoft's GALMod tool and to be a simple to use, cost effective, and easy to deploy. It does not have any "delegation" features. Our Directory Manager product allows you to designate authorized administrators that can modify other user's information. However, Directory Manager does not have 'self service' capabilities. What do you think of the Exchange 2010/2013/2016 Exchange Control Panel (ECP)? Honestly, the ECP is a nice "first try" and actually provides some great functionality for experienced system administrators. But it is slow, not customizable, performs no data validation, no photo upload support, does not have drop-down lists, and does not allow for read-only or hidden fields. So, we say, "thanks Microsoft" for shining a light on why our products are better! Exchange 2016 and Office 365 control panels are a bit better but still lack validation and are not particularly easy to use. Are your applications compatible with Office 365? Yes and no. Our applications are intended be entirely on-premises applications that run on an IIS server within *your* domain and that update *your* Active Directory domain. If you have configured your Active Directory to replicate with Office 365, then any changes your users make via our applications will replicate to your Office 365 directory. We are currently working on additional feature sets that will more tightly integrate with some Office 365 features such as larger photos. Your support just told us to run a Windows Update on our Web server. I'll bet you say that to all your customers. Yes we do. We recommend regular updates to your Windows and .NET Framework components by using Windows Update (or other technology) to apply all recommended and critical updates. We also recommend periodically applying Windows server roll-ups or convenience updates. It is critical that you keep your operating systems up-to-date both for application stability but also security. We want to customize the logo, screen and text colors, and other elements of your interface. Will you support us? Will you help us? The only interface component that we will directly support helping you change is the logo and labels for existing fields. Many screen and text colors can be changed via the style.css file or via the Telerik "skins" in the web.config. However, we have found that often assisting our customers in performing significant changes ends up being projects that take many hours. As a small business, we have to be careful about what projects we undertake. Customization services are sometimes available on a time and materials basis. I am going to rename or consolidate my domains in the future. Do I need to buy a new license? No, as long as your support and maintenance is current just let us know what the new DNS domain name of your new Active Directory is and we will transfer your license to the new domain and issue you a new license key. Does Directory Update or Directory Manager support resource forests? Directory Update has an optional (additional charge) resource domain module that allows a user to logon using their accounts domain user account and then the software matches up that user with their account/mailbox in the resource domain. The mailbox/user account in the resource domain must be configured as a linked mailbox. Directory Manager is not used by all users but rather a subset, so Directory Manager could be installed in the resource forest and then authorized users could be given an "admin" in the resource forest. Do you allow the user to reset or change their password? Directory Update v2.1 and later includes a feature that allows the user to change their own password. Directory Password is an add-on piece of software that allows an end user to reset their password or unlock their account via a web page. Directory Manager v2.1 and later includes a "Change Password" feature that will allow an authorized user to reset other user's passwords. Can you replace the drop-down list fields with text boxes? Yes. Almost all the fields on User Information form can be either a drop-down list or a text field. In each fields "tag" in the DirectorySettings.XML file, look for the type=" " option. This can be set to either type="text", type="dropdown", or type="combo". See the documentation for more information. We prefer dropdown lists for as much information as possible. This helps to ensure users enter only specific data in to those attributes; many organizations use these for Exchange Address List and Dynamic Distribution Group creation and they must be accurate. Why do some fields apppear with yellow boxes? In every situation where we have seen this, it is because the Google or Yahoo toolbar is installed and the "auto fill" feature is enabled. This does not cause Directory Update problems, but your users may ask why it shows up that way for them. Do you sell or support SharePoint Web parts? Our software was designed to run as standalone applications in a Web broswer. Some of our customers have tweaked our inteface to run within SharePoint but we do not currently support that configuration. We are evaluating the feasibility of developing SharePoint versions of our applications. Do you license your source code? No. We considered it. Talked to the lawyers. Too costly from a legal perspective and too much potential risk. I want custom feature X - Will you include that for me? We offer limited Exchange and Active Directory consulting services as well as limited consulting for our applications. Any consulting service we perform is typically focused as an "over-the-shoulder" engagement where we train you to do the work yourself. Will you incorporate feature X in to a future release? If a customer asks for something, more than likely we will try include it in a future version. The product has been "customer driven" since its inception. Almost all of the features in the current version were suggested by our customers. What are the limitations of Directory Update? See the Limitations section on this page. We have X domains in our organization; do you offer a site or enterprise license? We have a number of site license customers for Directory Update, Directory Manager, and Directory Password. The site license will save you money if you have more than about 6 or 7 domains in your organization. Directory Search is licensed on a per-forest basis. Site licenses are only granted to a single organization and all support requests must come through a single department. What are the requirements for Directory Update, Directory Password, Directory Manager, and Directory Search? Our applications are simple Web applications based on the Microsoft .NET Framework v4.x running on Windows Server 2008, 2012 or 2016 as well as IIS (7, 7.5, 8, 8.5, or 10), and ASP.NET. See the Requirements section on each product's home page. The web server on which the software is installed must be in the same forest as the users that will use the software. We extended our schema. Can you include X field on the User Information form? We have tried hard to get most all common attributes in the User Information form. Make sure you review the current version and the current documentation. Custom programming can be contracted at the custom rate of $75.00 per hour. Most new fields we add to the User Information form take between 1 and 2 hours. Yes, for one year from date of purchase. Annual Support is available for each product for approximately 20% to 30% of the cost of the software if you are still under your current maintenance period. However if your support expires we will ask that you renew your support starting at the point at which your support expired. Can I use the software without customizing it? No. Our applications are designed to be customized for each organization's needs. The XML files will need to be updated and customized for your organization. The version that ships with the product provides some generic examples and serves as a starting point. We STRONGLY recommend you get a text editor that shows XML tags in a friendly format. We recommend NotePad++. Most organizations can customize our software in under 45 minutes. Will Directory Update, Directory Manager, Directory Password, and Directory Search run on a domain controller? Yes, many customers run our applications on a domain controller with no problems. Will your software run on an Exchange Server? 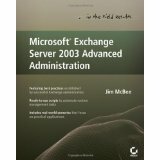 Yes, it has been tested with Exchange 2003, Exchange Server 2007, and Exchange Server 2010 and does not seem to interfere with Exchange. Will your software run on a SharePoint server? In a word... "no". SharePoint is kinda pushy and "takes over" all web and .NET applications running on the IIS server. It is possible to exclude our appliation paths from SharePoint, but this requires a good SharePoint administrator on your side. Will Directory Update, Directory Manager, Directory Password, and Directory Search run on the same Windows Server? Yes, all of our applications can run on the same server. Unless you plan on having hundreds of simultaneous users per hour each and every day, there is no reason to put our applications on separate servers. Will Directory Update, Directory Manager, Directory Password, and Directory Search on virtualized servers? Yes, we do not care if the server is physical or virtual. What happens if my maintenance period expires and I do not renew? You can keep using the software. Your license is perpetual. However, if you need support or want to upgrade, we will ask that you renew your maintnance starting at the point at which it expired. Can Directory Search query more than one Active Directory forest or other LDAP directories? No. Directory Search can only query a single Active Directory forest. Will your developers help me write some regular expressions for telephone number validation? We try to avoid opening a can of worms such as developing customer specific solutions. We will generally refer you to a web site such as RegEx Library if you need regular expressions. Our developers do contribute to that library. Do you have any plans for a graphical editor for the XML files? We have tossed that idea around a few times and we have had some requests for this. We have no immediate plans for a comprehensive editor, though. This would increase the cost of the software by around 30% and that is something we have tried to avoid. Yes, we urge you to enable SSL (HTTPS) on your Internet Information Services (IIS) servers. Our applications will run fine if you enable SSL. Do your applications work against other LDAP directories? No. We considered an ADAM / Active Directory Lightweight Directory Services (AD-LDS) version, but found very little market for it. Can you install more than one instance of your applications on the same server? Only a single installed copy of the software can be used on a Windows server, but multiple instances can be configured in IIS each using a different source files folder and a different IIS virtual directory. All instances must share a common service account, though. Do you support Windows x64? Yes. Windows Server 2008 R2 / Windows Server 2012 R2 / Windows Server 2016 are our preferred server platforms now. .NET Framework applications are compiled in real-time and can run as either 32-bit or 64-bit applications but we are no longer supporting the software on 32-bit operating systems. Your documentation is missing something I need to know, what should I do? Shame on us! Contact us: support@ithicos.com. Try as we might, we can never anticipate every question everyone will ask. We are trying to move away from traditional printed and/or PDF documenation and towards a web-based / TechNote based approach to documentation. Do your applications run on Windows 2000, Windows XP, Windows Vista, Windows 7, or Windows 10? No. Our applications require a minimum of IIS 6, the .NET Framework v4, and ASP.NET. Those are only available on Windows Server including Windows Server 2008 R2, Windows Server 2012, and Windows Server 2016. Why do you call it a "service account"? I can't find any services that your application installed. Correct! We require that you create a "service" account, but we don't really have a service. In truth, the account functions more like a "proxy" account. Updates to the Active Directory are made on behalf of the end user using the service/proxy account. We call it a service account (incorrectly) because more people know what that is.